MOSCOW (Sputnik) — According to Times of Malta, some protesters called for the dismissal of the police commissioner and the attorney general. — Paula Galea (@Paula_Galea) 29 октября 2017 г. However, the protest ended peacefully, no incidents were reported during the demonstration. Organizers said that nearly 10,000 people took to the streets in Sliema. — Roberta Metsola MEP (@RobertaMetsola) 29 октября 2017 г. In April, Daphne Caruana Galizia reported that Prime Minister of Malta Joseph Muscat and his wife Michelle had links to the offshore company Egrant, which had received major payments from abroad. The information about the company appeared in the Panama Papers. Both Muscat and his wife denied Galizia's claims. On October 16, Galizia was killed by an explosion in her car. 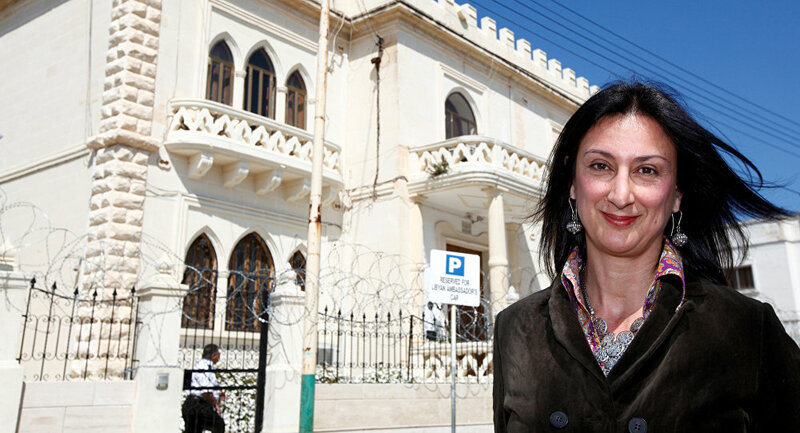 The journalist was known for investigating various cases of corruption in Malta. One of Galizia's investigations was based on the so-called Panama Papers, the high-profile leaked documents of the Panamanian law firm Mossack Fonseca, published in 2016, which lead journalists to reveal a multitude of illegal financial practices by officials and public figures from various countries. The authorities of Malta have asked the United States and the United Kingdom to send staff to assist in the murder investigation. Wikileaks founder Julian Assange has announced a 20,000 euro ($23,600) reward for any information that could lead to the conviction of the journalist's killers.